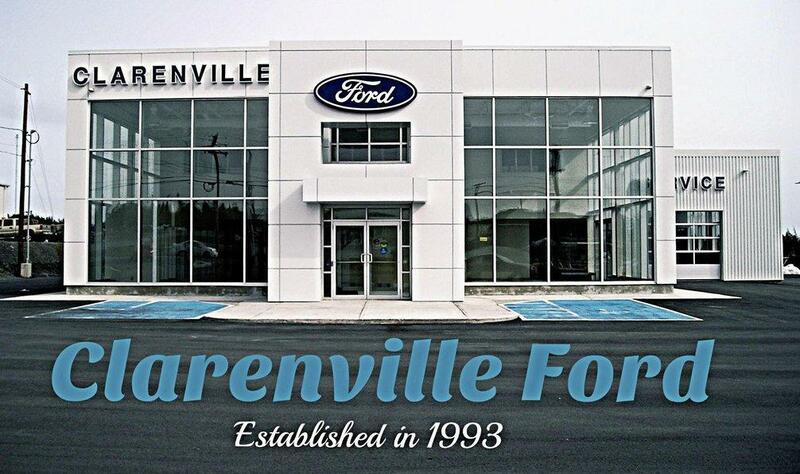 Clarenville Ford Sales offers a variety of New & Used vehicles as well as automotive parts and service. We are located in Clarenville serving all communities between St. John's and Gander, and located near the centre of three peninsulas: Avalon, Burin, and Bonavista. Our new vehicle line up includes the latest in technology available to Ford. We offer a comprehensive lineup of vehicles including F-150, SuperDuty, Escape, Focus, Fusion, Mustang, Taurus, Fiesta, Edge, Explorer and EcoSport. We also have quality used vehicles if you are in the market for one. We offer many services including trusted Ford car repair, original Ford auto parts, and auto financing to help our customers purchase the car of their dreams. Call Clarenville Ford Sales or come visit us in person. We are located at 12 Shoal Harbour Drive and can be reached by phone at 888-521-2781. We look forward to helping you with your automotive needs.